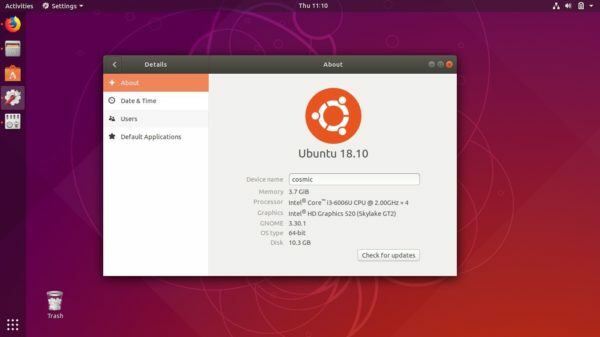 Ubuntu 18.10 was released with great new desktop theme ‘Yaru’. However, there are always some people prefer old Ubuntu desktop look. And it’s easy to restore the old desktop theme in Ubuntu 18.10 via following steps. Type user password (no asterisks feedback) for sudo prompts and hit Enter. 3. Finally launch Gnome Tweaks and navigate to Appearance tab. That’s it. To revert the changes, simply set those values back to Yaru in step 3.